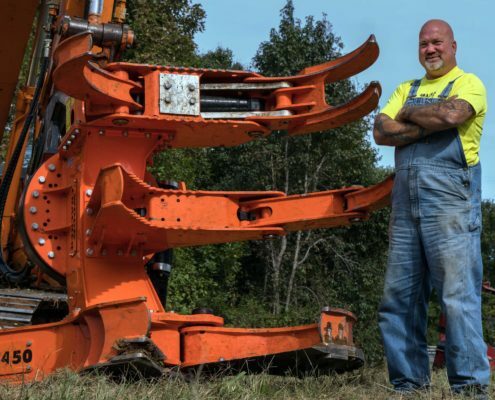 From Indiana, to Kansas, Massachusetts to North Carolina Kenneth Luker visited four companies to get input and suggestions of those who use the Woodcracker machines on a daily basis. The tour started at Kansas City, Kansas, with the company CS Carey, a big mulch producer in this area. 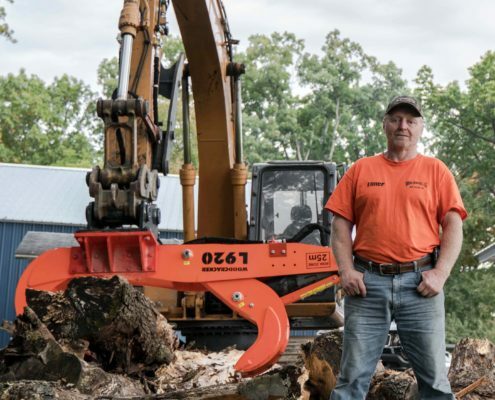 Drew Meylan is the manager of this company and produces not only mulch but clears also woodland and uses therefore the Woodcracker C550 cutting head. Because the work is mostly done next to a road, Drew puts emphasis on having the tree safely under control while cutting it. The residual root stock is removed with a Woodcracker R1300 clearing device and processed into mulch. Thanks to that a clean area remains and additional bio mass is generated. The second stop took place at Varro Services in Mill Creek, Indiana. Varro Services is one of the global leaders concerning tree service companies in this area. Elmer Varro manages the company in the second generation. His father already started cutting down trees in the 50s. 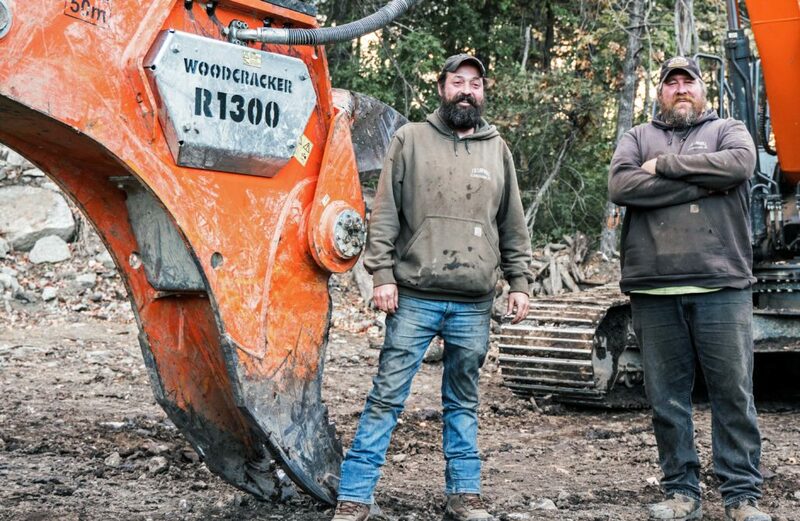 To get rid of the work with the chainsaw by hand Elmer Varro decided to buy a Woodcracker C550. 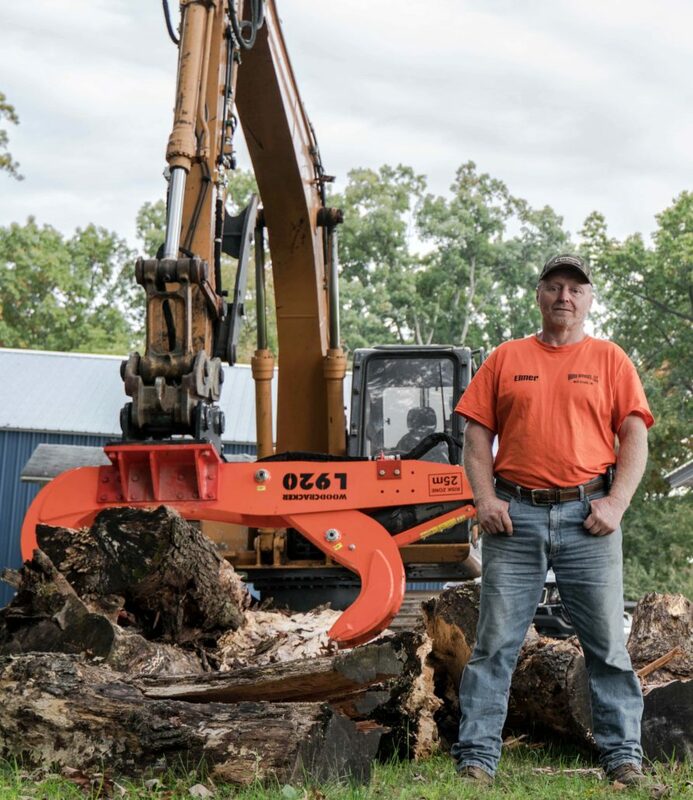 He tried some hydraulic cutting heads in the past but the Woodcracker C550 convinced him of an important fact: The tree is fixed by the strong grabber and gets cutted as it is fixed. 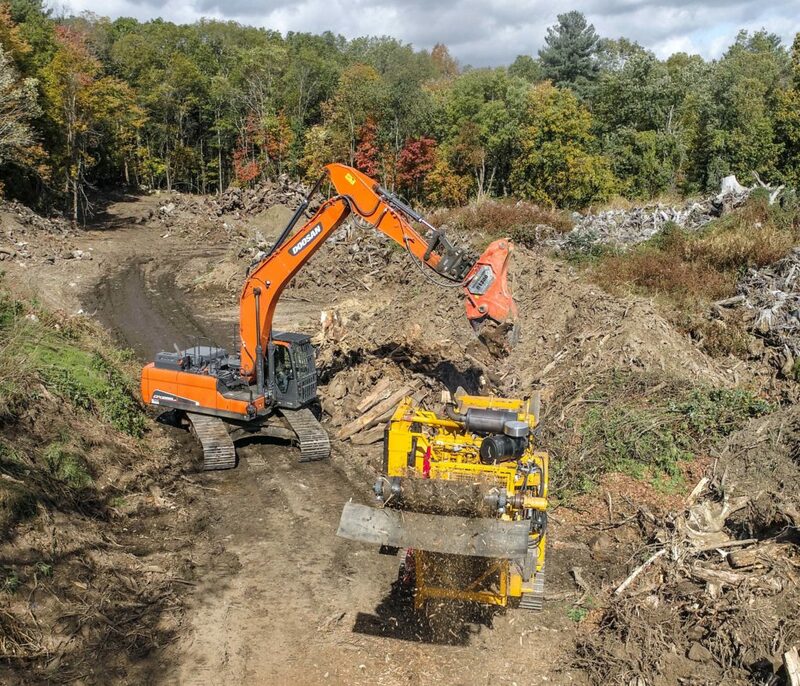 1400 kilometers further Kenneth visited the company J B Sawmill & Landclearing in Hopkinton, Massachussets. This company focussed on tree care, clearing and tree felling due to safety reasons and banks on recycling and 100% disposal as any fuel. J B Sawmille under the leadership of Josh Broussard uses a Woodcracker R1300 clearing device for reprocessing big root stocks and a Woodcracker L920 splitter to chop strong wood up. The journey ended with visiting Need-A-Tree-Cut in Kernersville, North Carolina. 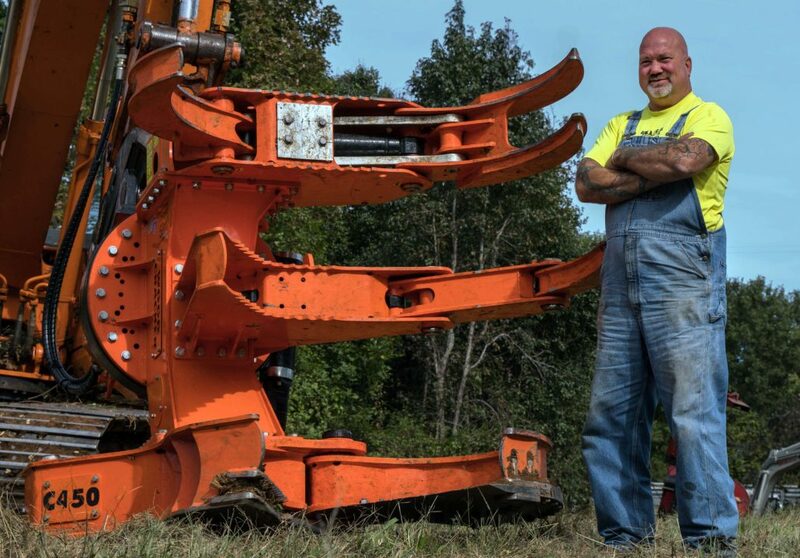 The manager Gred Roberson has a Woodcracker C450 and is cutting trees for a public client in the transport sector. 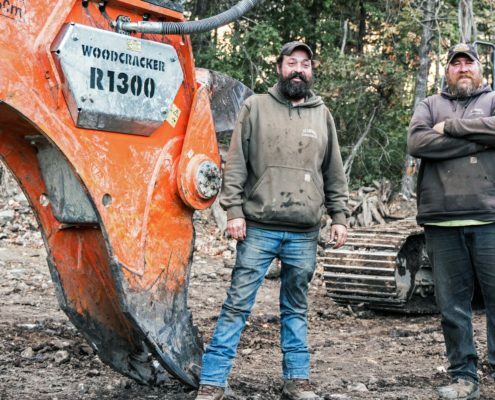 “I am really glad I bought the Woodcracker 450. It helps us tremendously and saves us a bunch of hard work and man hours.” Greg Roberson says.